Person Centred Counselling is appropriate for people of all ages, although adults and older teenagers may experience more immediate benefits. It is purely non-directive (client lead) and primarily talking based so does rely to some degree on your ability to talk things through and bring things into sessions. That said, this approach can be adapted and used creatively according to individual need. This is a long-term mode of therapy which encourages long-term empowerment. 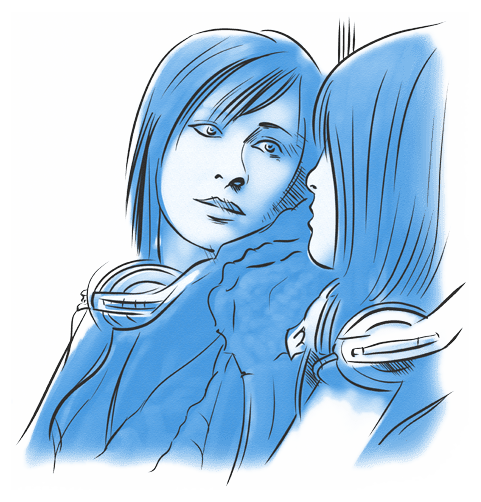 The person centred approach to counselling assumes that, regardless of how difficult or how awful things may have become, you are your own expert and ultimately have the capacity to fulfill your potential and to live a full and satisfying life. It is understood that adversity and negative life experiences profoundly affect the ways in which we view ourselves and thus the way we think, feel and behave. It is acknowledged that often we get stuck in negative lifestyles, self-destructive patterns of behaviour and we can easily feel overwhelmed by our problems and frustrated by ourselves. The focus of Person Centred Therapy is on the relationship built between you and your therapist; one of mutual respect and understanding. Your therapist is only interested in how you view your troubles and in finding ways forward that suit you. This approach encourages personal autonomy and the discovery of internal resources that equip you to handle life in the face of continual change and challenge. Your therapist will aim to provide a safe environment from which you are able to explore your issues and process them within a trusting and professional relationship. Therapeutic change occurs naturally within this environment as you begin to make sense of your experiences and understand and accept yourself. Session length is usually 50 minutes but can be reduced or increased to suit individual needs and adjustments to fees will be made accordingly. Please note additional room fees and transport costs may apply, depending on location.